Whether it's spring break or summer vacation, show your college spirit with the newest travel attire, university logo tote bags. Now featuring 16 popular colleges, with more to arrive. 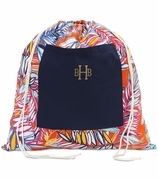 Rich in tradition, sturdy construction, attractively priced, logo tote bags that can additionally include embroidery with name, sorority or catchy university mascot logo or team name. A favorite among both gift-givers and recipients. Unique present for girls graduation from high school and college, or dorm room gift. 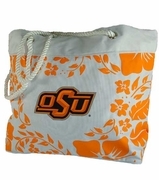 Mom, grandma or a special aunt supporting their alma mater would also enjoy these officially licensed logo tote bags. There is perhaps no other experience in life that creates such an impression as our time spent at college. Whether you're still in school, a recent graduate, or an alumni who wishes to show some team spirit, Simply Bags has got a college-themed logo bag for you! Now the whole world can know your loyalty to the college that you remember so fondly with a Simply Bags college-themed bag; we currently feature 16 popular colleges, and have plans to add many more in the very near future! 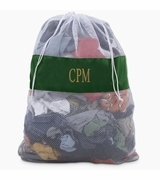 An embroidered college-themed bag form Simply Bags is one of the most popular gift items we carry; newly-accepted high school grads who are planning their first year away at college will definitely appreciate the gift of a monogrammed college-themed laundry bag or monogram shower caddy. 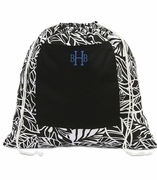 Likewise, our college-themed bags are an excellent way for parents, grandparents, or anyone else to display some well-earned pride in their college-bound graduate. Whatever your reason may be, Simply Bags has got you covered. 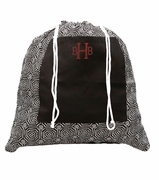 All of our bags and totes are constructed using sturdy materials and are attractively priced, giving you the option to make multiple-items and complete-set purchases without breaking the bank. Our designs are timeless, and we offer a variety of prints, ensuring that there is truly something for everyone. 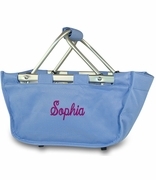 Our personalized college bags and totes also make excellent gifts for family get-togethers, weddings, and college reunions. So if you are looking to host a large-sized group who all have an alma mater in common, this is a perfect opportunity to consider giving the gift of a Simply Bags college-themed tote. 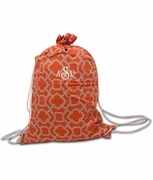 At Simply Bags, there is no minimum order size. We are determined to meet the needs of our customers, so if you have a specific order in mind and would like to discuss it with us, simply pick up the phone; we love hearing from our customers!